Every year, between Christmas and New Years Eve, the German Chaos Communications Club holds its Chaos Communications Congress. 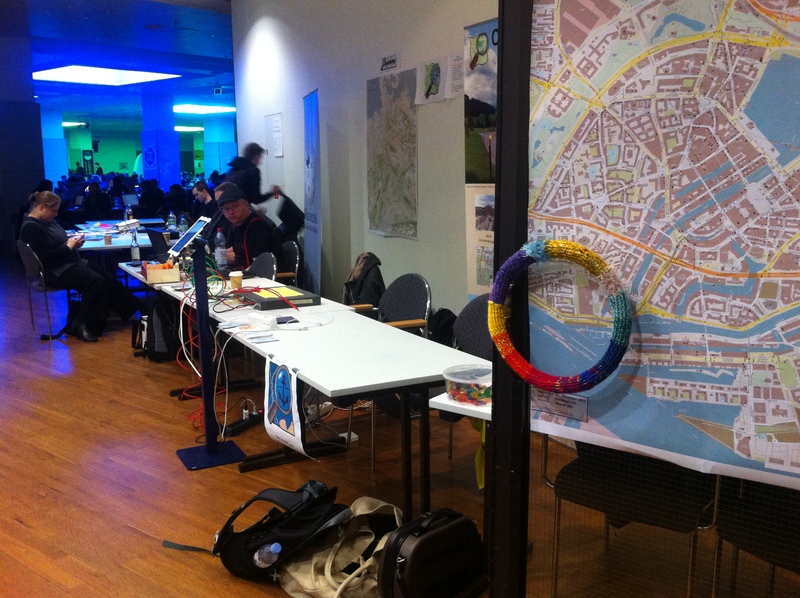 After some years in Berlin, in 2012 the 29th CCC Congress (hence the abbreviation 29C3) took place in the City of Hamburg. 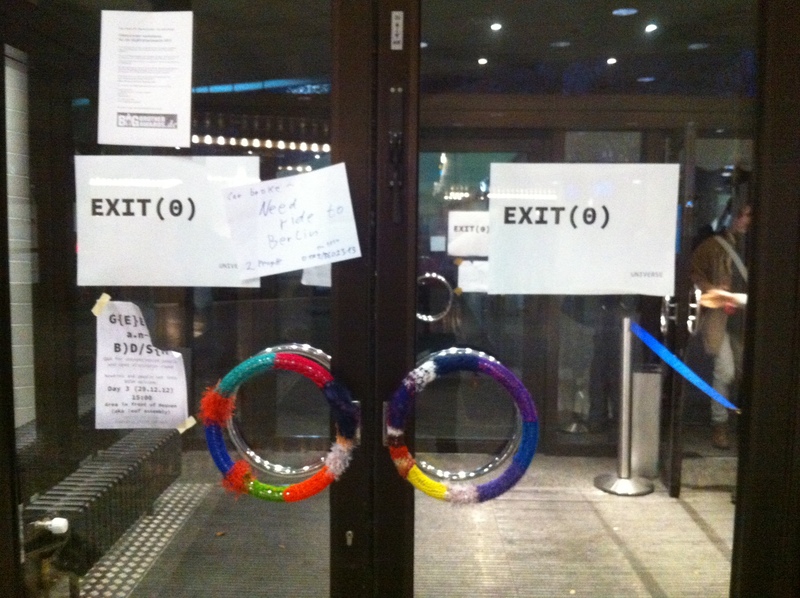 Like last years, I took part because of the inspiring program, but like I often do at conferences, I yarnbombed the place 🙂 The feedback was great – hackers too like guerillaknitting. 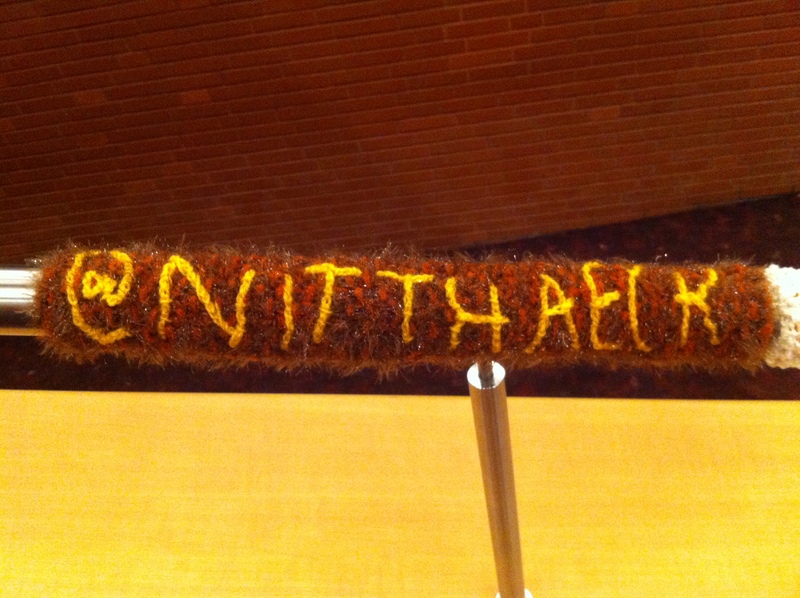 However, when somebody asked me, what I was doing there, I referred to it as “knithacking”. 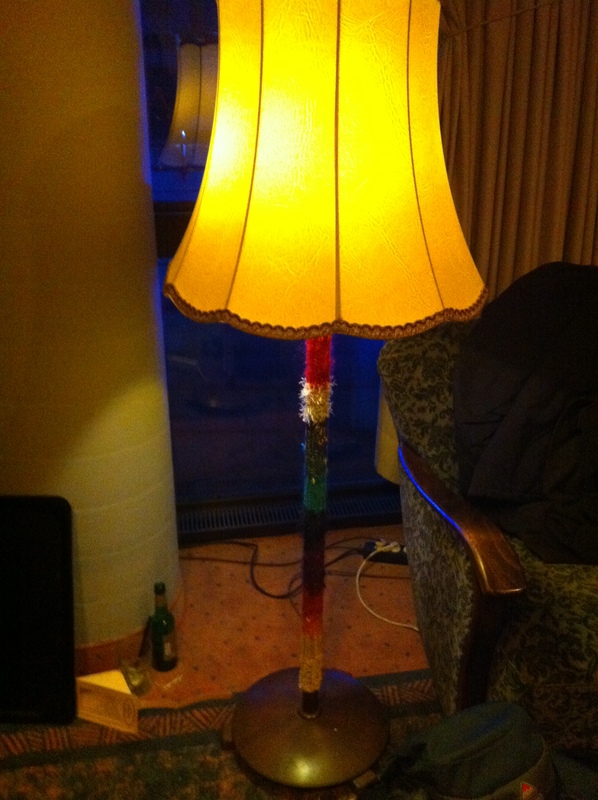 Hacking, as I understand it (and of course there are many definitions for it), is applying techniques to environments where they are not meant to be used in that way. This can be for curiosity, innovation, for the lulz or to find solutions for complex problems. 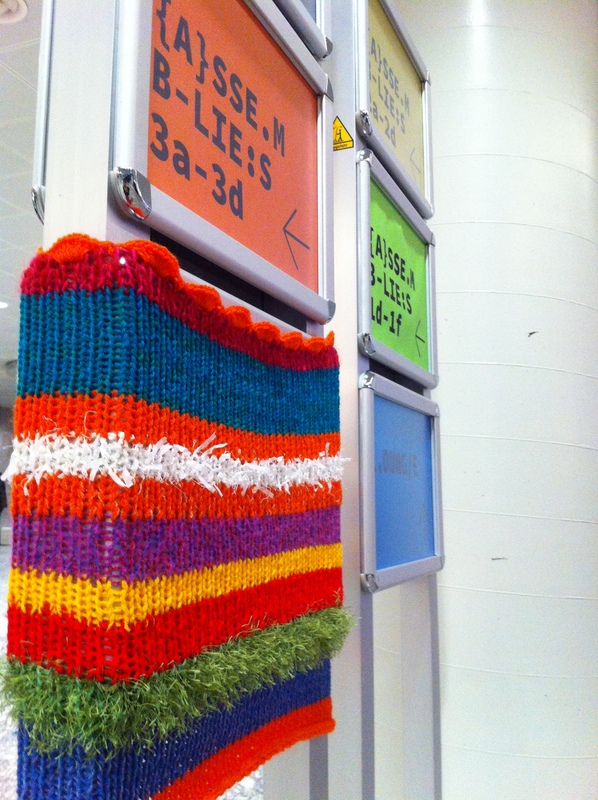 Hence hacking is not by definition something bad and surely yarnbombing is a kind of hacking: hacking the urban environment with beautiful knitting. 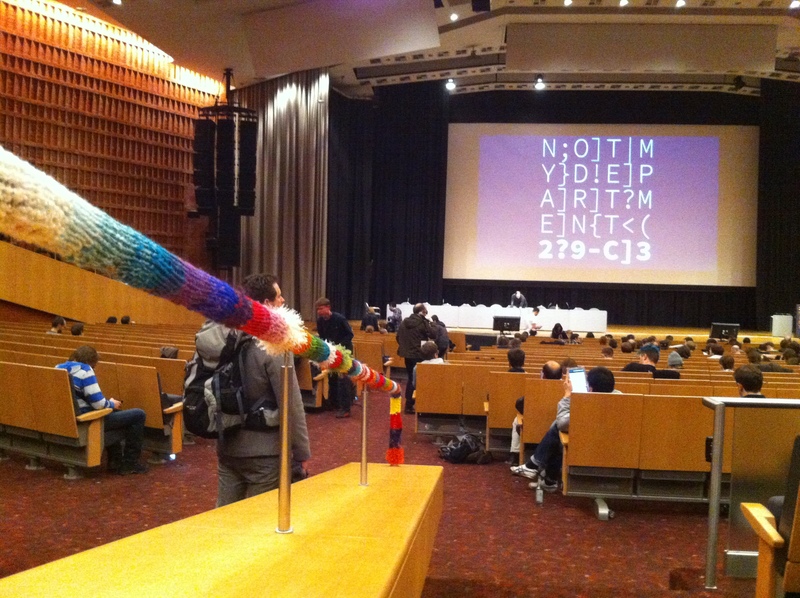 The next CCC conference starts in a few days – at 27th December 2013 – it will be the 30C3. 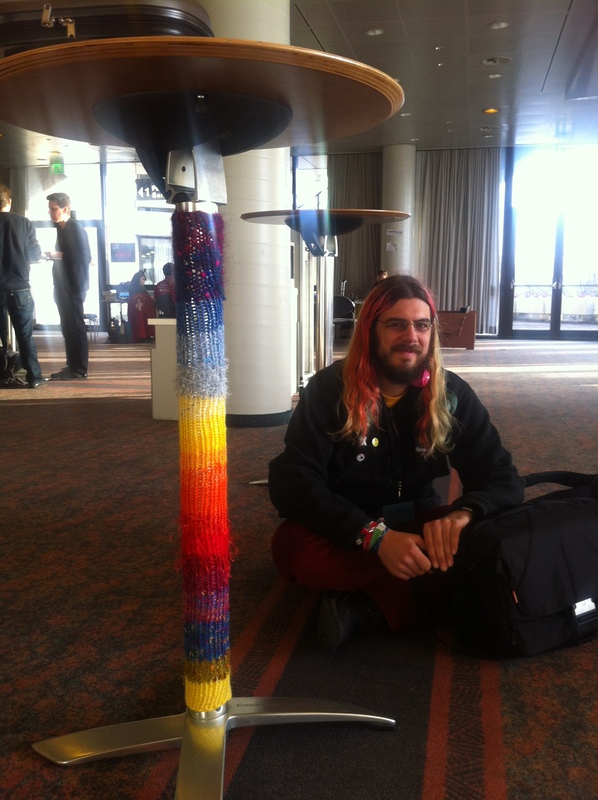 I already decided to yarn bomb the place again and I also plan to do a guerilla knitting workshop during the conference to get more people engaged in yarn bombing this inspiring conference. 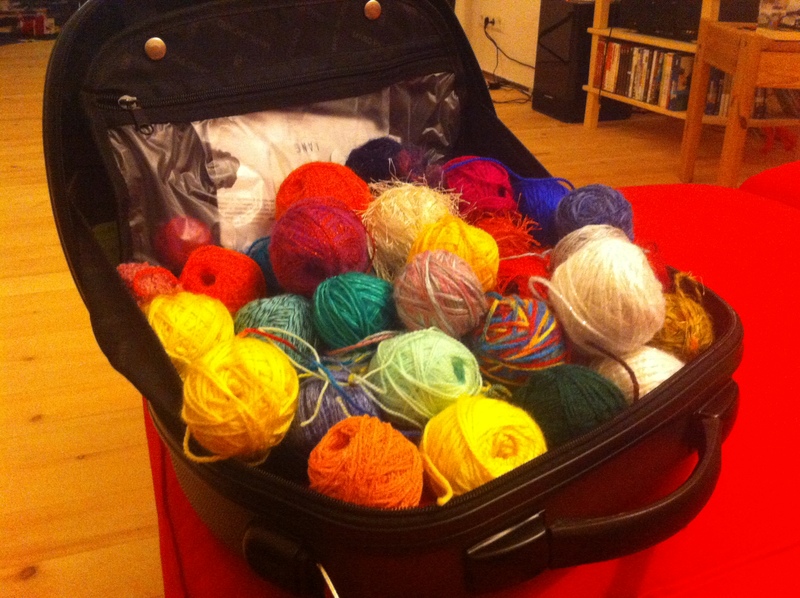 My equipment is already packed… I hope many people join! 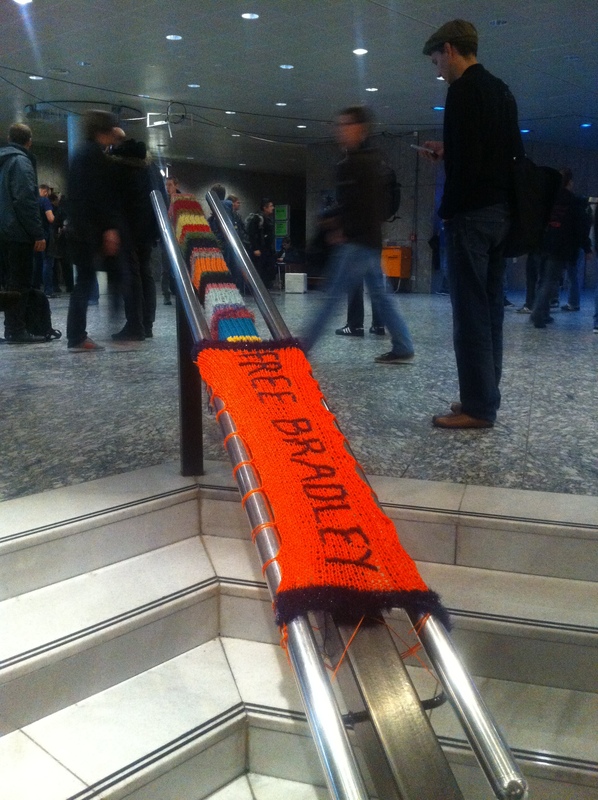 Gallery | This entry was posted in Nitthaeck projects and tagged 29C3, 30C3, CCC, conference, free bradley. Bookmark the permalink.